The app's main interface is shown above, displaying real-time conditions with a depiction of the current weather in the background. 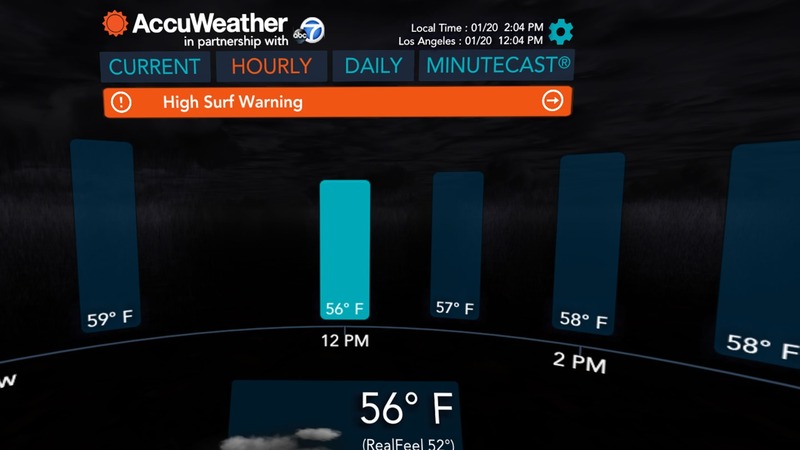 If checking the humidity in virtual reality isn't exciting enough for you, AccuWeather plans to release 360-degree videos every week for playback in this app. If you want to try out Weather for Life, you can download it from the Oculus store for free at the link below. A Gear VR and compatible Galaxy device are required. 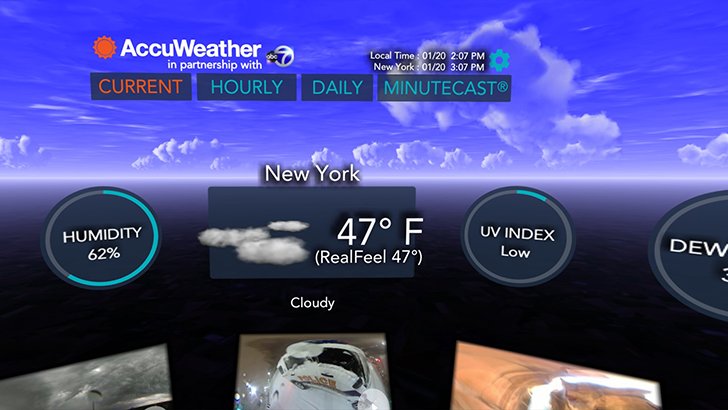 STATE COLLEGE, Pa., March 17, 2017 /PRNewswire/ -- AccuWeather, the global leader in weather information and digital media, today announced the launch of the new virtual reality application, AccuWeather - Weather for Life for Samsung Gear VR, allowing users to experience and interact with exclusive 360-degree video content, weather information, and updates in revolutionary new ways. The new app gives users an additional platform to access the most personalized, localized weather information with Superior Accuracy™ from AccuWeather, available worldwide through award-winning AccuWeather apps, free wired and mobile Internet sites via AccuWeather.com, connected TVs, wearables, smart homes, connected cars, and more.